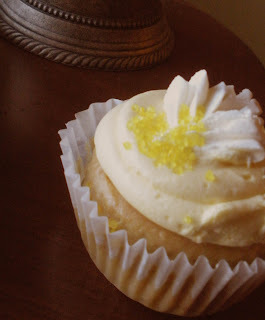 SWIRLZ Takes the Cake (Cupcake that is!) and A Goody Bag Shopping Trip! 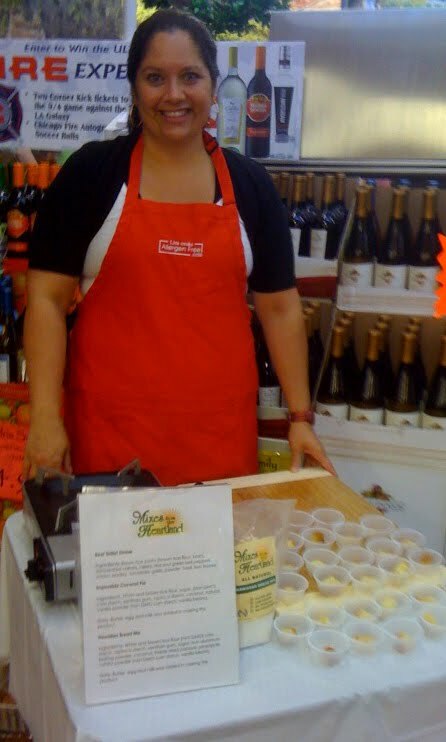 If you haven’t tried SWIRLZ, you can find them at Whole Foods Market and if you are in the Chicagoland area, stop by their store on 705 W. Belden. 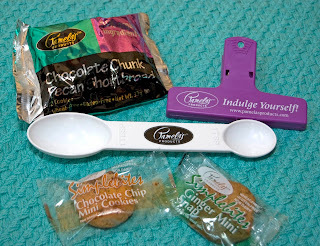 Until Tuesday, if you sign up to be a fan of SWIRLZ on their Facebook page, you will get an exclusive discount. 2) Click the "like" tab on our page. 3) Post "happy" on our wall (Most Important Part!). 5) Then simply mention your code when you place your order whether it is in store, phone or fax! Discount may be redeemed for 1 week: Aug. 24th-31st, 2010. Orders can be placed for future dates, as long as the order is placed between 8/24 & 8/31. Any questions or concerns, feel free to call us at the store! And if dinner and dessert wasn’t enough, there were so many treats to take home in your recyclable Whole Foods Grocery Bag…. I have lots of great product left to share with my favorite allergenistas that couldn’t make it to the event. 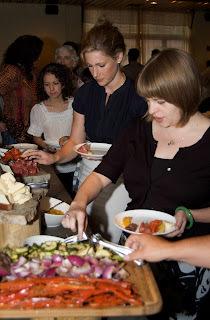 I will be having an open house pot luck at my home on September 11th for the GF Faces Chicago group. I plan to open my goodie closet for people to “shop” for products to try. Please RSVP to info@lisacooksallergenfree.com, I have limited space and can only open my home to about 20 people. 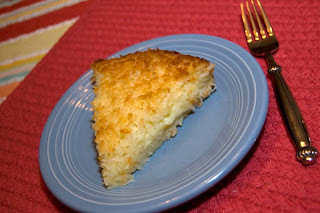 The Treats Just Keep Coming and a Pie You Must Try! The Safe & Sound at ZED 451 is right around the corner and tickets are still available (click here to register). Ener-G has just come out with a new line of biscotti. They have chocolate chip, raisin and cranberry, what a lovely gluten/dairy free way to start your day with a hot cup of coffee. 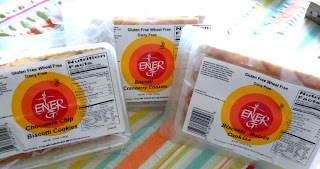 Ener-G recommends heating them in the oven to get the best texture! Cherrybrook Kitchen’s Gluten Free Dreams Vanilla Graham Mini Cookies are a perfect afternoon snack and I think they would be a lovely base to a pie if you grind them in a food processor, just the right amount of sweet. 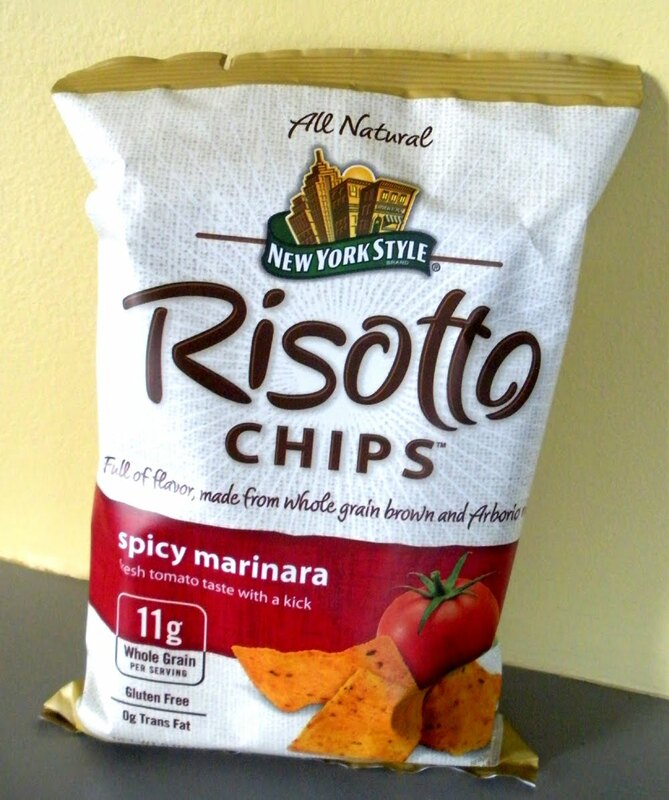 A new allergenista favorite, risotto chips are taking Chicago by storm! 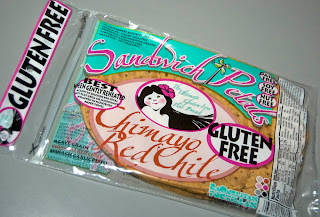 I love these with hummus and even use them for some crunch in your next taco salad. 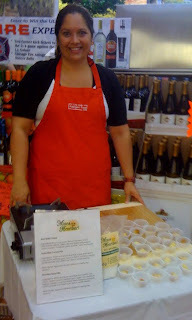 Last Sunday, I was sampling product for Mixes from the Heartland at the Caputo’s in Elmwood Park. Although, I couldn't taste this product (it has dairy), the reviews from the crowds were so positive, I just had to share them with you. Mixes from the Heartland Impossible Coconut Pie, how everyone was describing it to me, it is like a custard pie, the mix separates itself giving you a crust with a custard filling topped with toasted coconut sprinkles, people were just raving about it. I had a hard time keeping enough product to sell, it was going that fast. 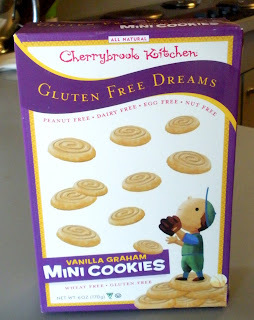 This product requires egg and dairy, I can’t wait to try a dairy free option with coconut milk (I will keep you posted). Just over a week away from the Safe & Sound Dinner at ZED 451 and my house is filled with cases of product to share with my favorite allergenistas. Make your reservations now while space is still available for this incredible dinner. 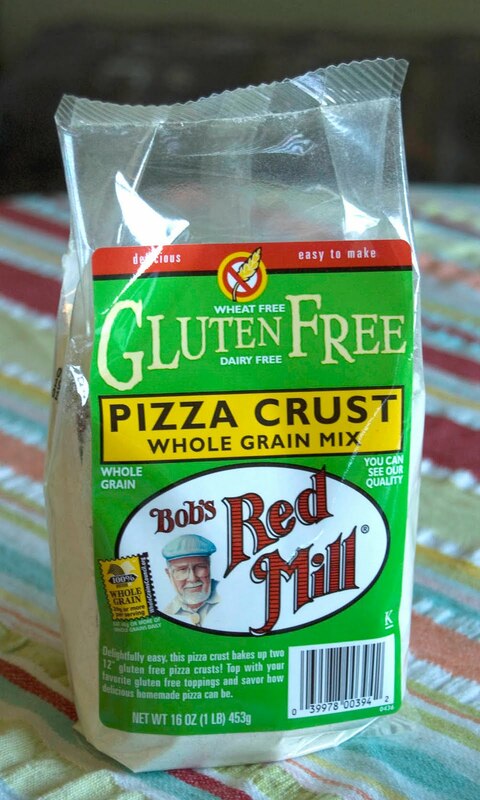 Bob’s Red Mill sent their pizza crust mix. 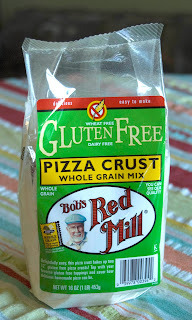 I just love this crust, I like to put lots of toppings on my pizza to make up for the lack of cheese, this crust holds together and delivers a wonderful taste to boot. 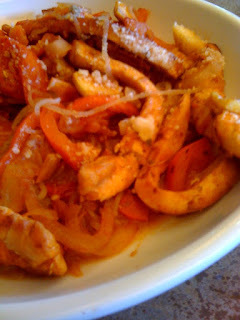 If you want to give it a try, try my recipe for the perfect pizza sauce. 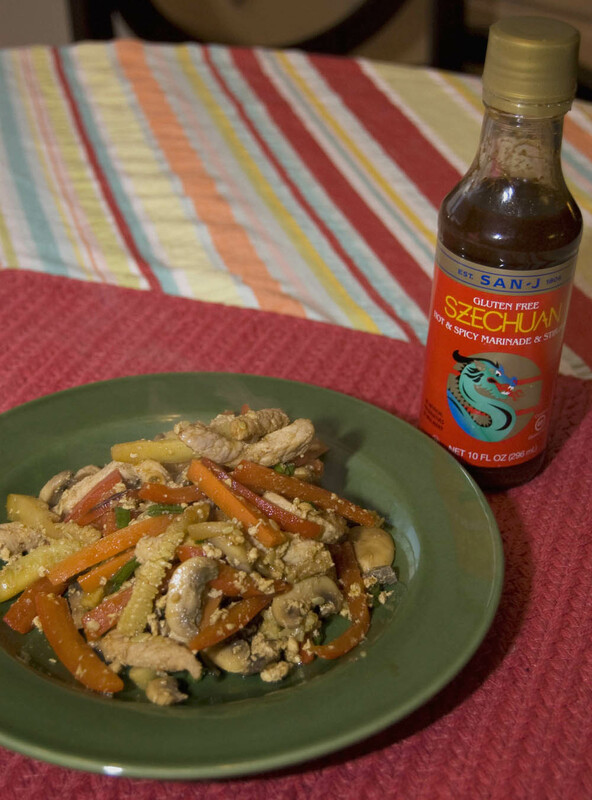 I tried San-J’s Gluten Free Szechuan Sauce with some vegetables I had in the fridge and strips of pork, it was a great meal! I can’t wait to try the rest of their sauces! Preheat large saute pan on high heat. Add carrot to pan, cook one minute, push to side. Add each ingredient above in order as listed thru pork, cook for one minute each and push to side. Add San-J Gluten Free Szechuan and mix all ingredients together. Top with scallion and serve over rice. Don’t miss the Safe & Sound Dinner at ZED 451 on August 24th, check out some of the swag I have been receiving for the gift bags and we are just getting started! All of the products below are ones I have talked about before and use in my kitchen, I am so excited to share them with you. 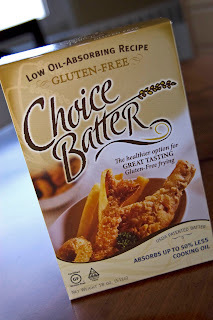 Choice Batter - I just love it for chicken tenders, onion rings and tempura. The best part is that it absorbs up to 50% less cooking oil! NoOodle – A wonderful pasta alternative with no calories, none of the Big Bad allergens and pre-cooked making lunch at work a snap! 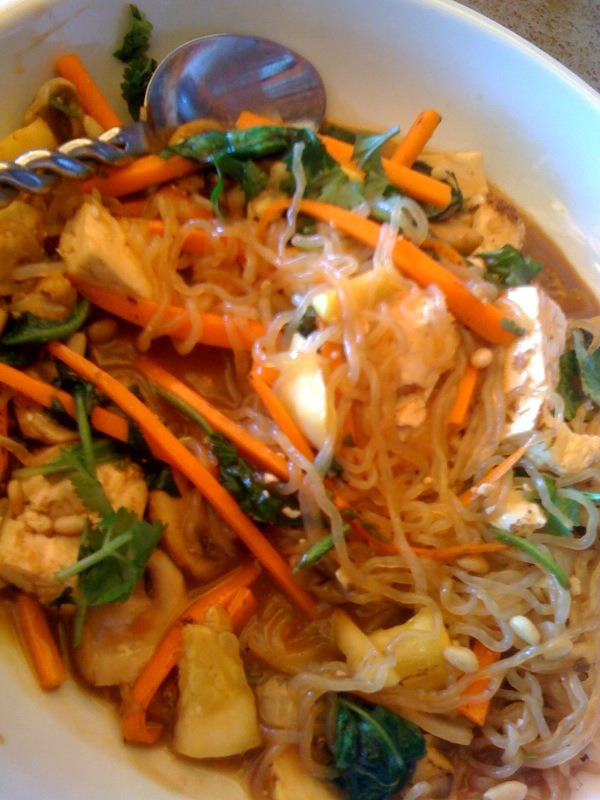 These noodles absorb the taste of what you top them with, so they can be eaten any number of ways. 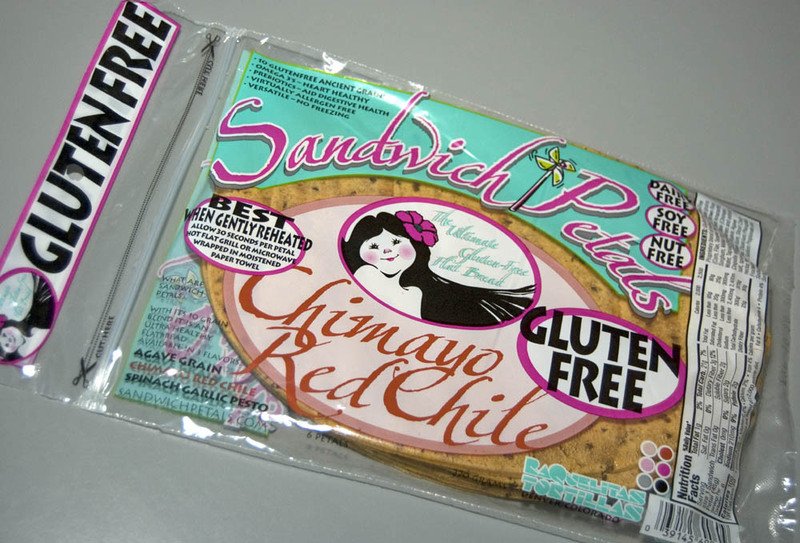 Sandwich Petals – a perfect wrap to take to work or your favorite deli and is FREE of the Big Bad 8 allergens and gluten. Hope to see you at ZED 451, see what people are saying about this hot downtown restaurant! "Best All You Can Eat Experience - Upscale"
I have been dying to get up to Highland Park to visit with Terri Rogers, the chef at Lincolnshire Gourmet and developer of the NoOodle. I first had the NoOodle at ZED 451 in one of the salads on their harvest tables. This product is just amazing, it’s made of water, yam flour and lime and tastes like a cellophane noodle. 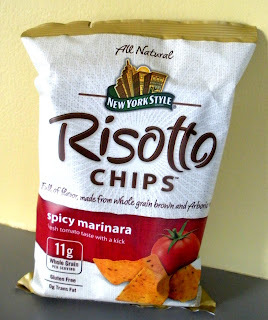 It goes great with traditional pasta sauces and stir frys. It gets even better, there are no calories, no net carbs or preservatives. Alivia and I drove North on I-94 to the charming and bustling Highland Park. 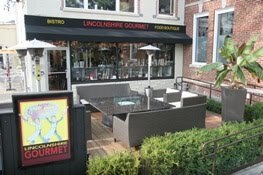 Lincolnshire Gourmet is located on Central Avenue and from the moment you walk up to the door, you feel welcome and comfortable. The first thing you see as you enter the outdoor dining area are these huge fire pits with seating all around, I can imagine the interesting conversations and connections that were made over a cocktail or two. We arrived right at lunch time and the restaurant was quite busy. We sat outside under the tented area that was bright and cheery with a pleasant breeze filtering through the dining room. The menu is so fun, Both Liv and I had the build your own NoOodle meal. You choose the toppings including sauces, veggies and garnishes. I had the NoOodle with Marina sauce, roasted tomatoes, yellow squash, red peppers, onions and chicken. The vegetables were so fresh and the sauce had just the right amount of kick, a lovely light meal. 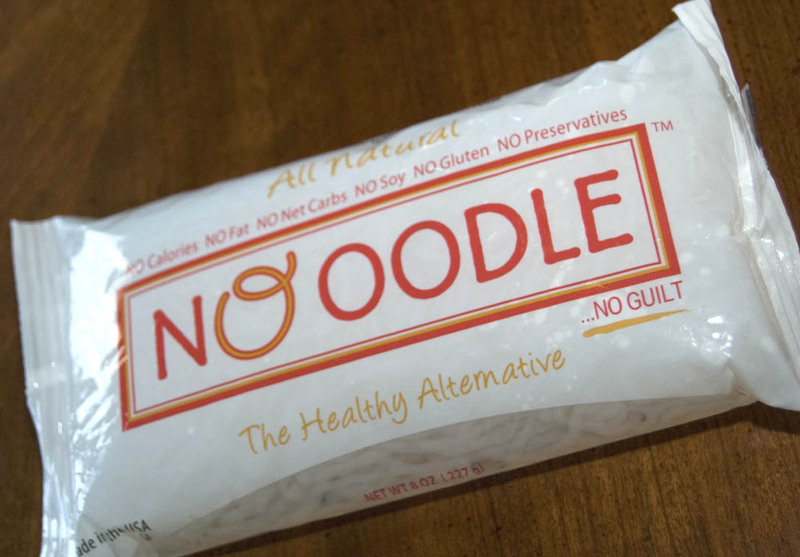 The NoOodle’s lighter texture doesn’t weigh you down like a traditional wheat based pasta would. 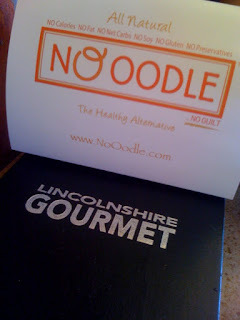 Liv had ginger soy, carrots, spinach, yellow squash, mushrooms, pine nuts and cilantro, we both were happy diners and new fans of both the NoOodle and Lincolnshire Gourmet! 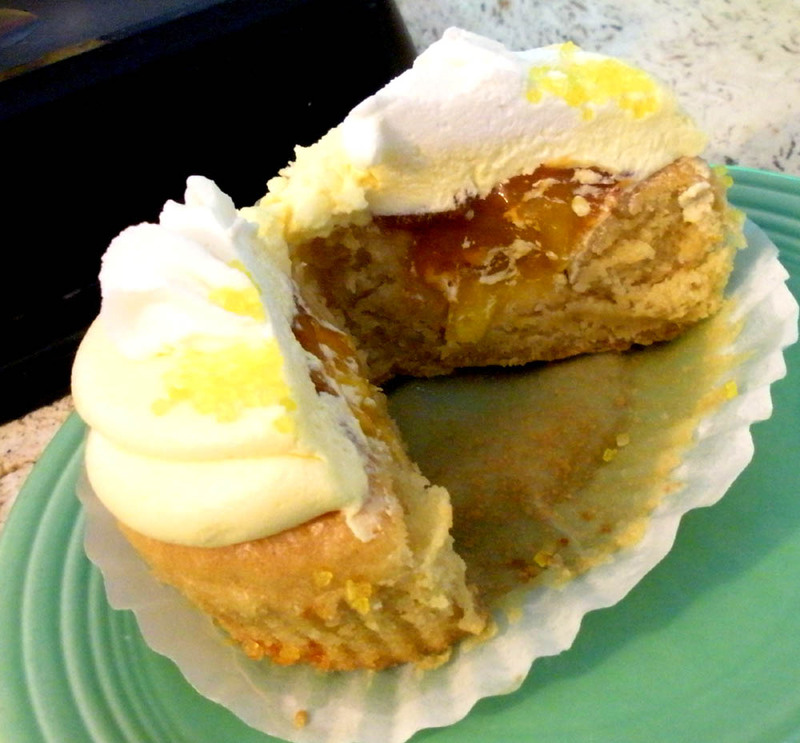 By the way, ALL the desserts at Lincolnshire Gourmet are gluten free! Terri was kind enough to share the NoOodle with the allergenistas at the Safe & Sound dinner, a sample pack of this precooked product is perfect for taking to the office, or on trips where finding a safe meal is challenge. 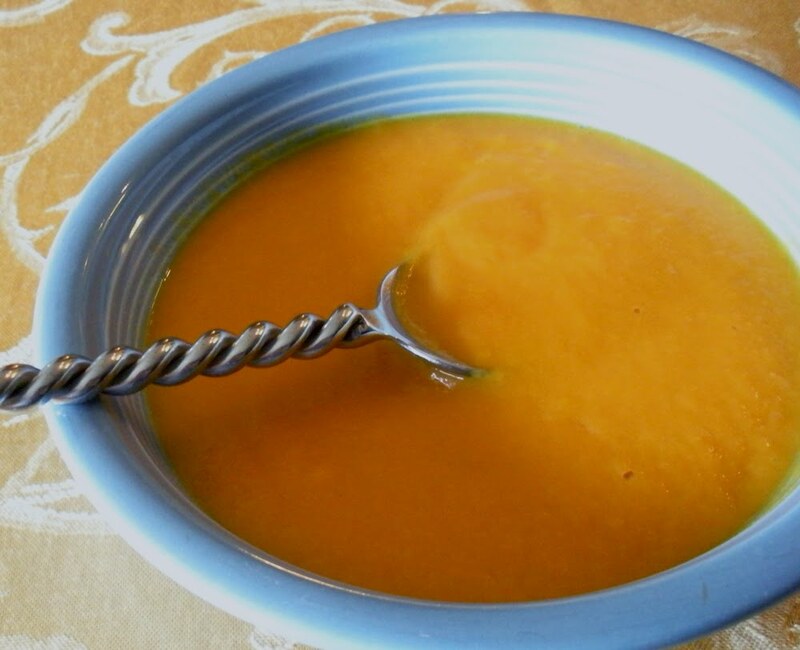 This Soup Hits the Spot this Summer! Add carrot and onion, cook until soft, about 5 minutes. Add potato and stock, bring to a boil and reduce to a simmer for 20 minutes. Add Kosher salt, cayenne and black pepper while mixture is simmering. Puree in blender until smooth, add additional Kosher salt and pepper as needed.